I’m sure, by now, you have seen a car, van, or even a bus that looks like a big rolling billboard. They’ll have bright vinyl graphics, with big bold colors, and photo’s. They’re very splashy, and really grab your attention, and typically cover vast amounts of the vehicles surface. Wraps have a lot going for them… when properly applied, they actually protect the cars finish, they’re obviously attention grabbing, and there’s constantly new advancements being made in materials, including color changing films. They can be expensive. A regular sized cargo van can cost upwards of $2000 to get a full wrap applied. They must be taken care of. Typically, handwashing only is recommended. 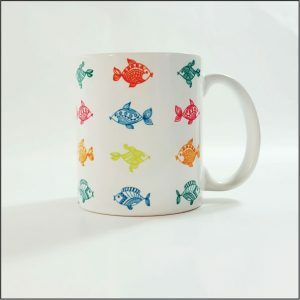 While advancements in technology are extending the life of digitally printed wraps, they are still only rated for about 5 years under normal circumstances. You can increase or decrease this life expectancy depending on how much UV your vehicle is exposed to. Wraps take much longer to apply. You may be without your vehicle for 2-3 days. When properly applied, the installer must remove parts of your vehicle, such as door handles, lights, and other trim pieces, and this is time consuming. 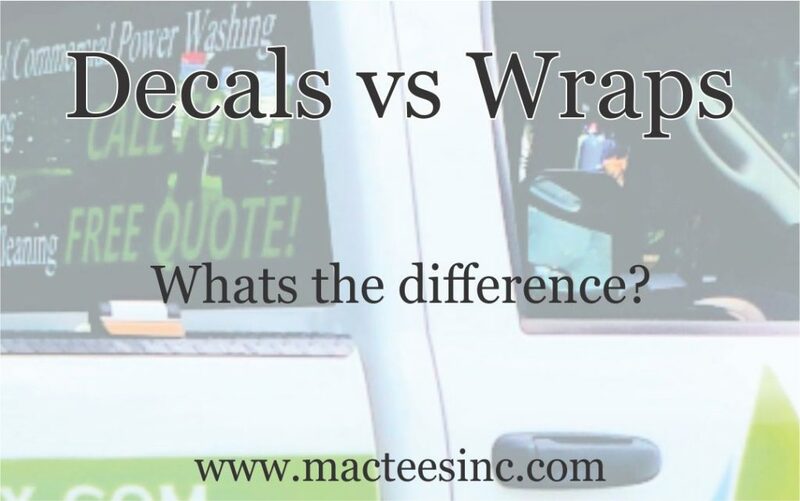 If you damage your vehicle wrap, that entire piece of vinyl will have to be replaced, and if you have any age on your original wrap, a noticeable difference in color fade may become apparent. I’m certain you’ve also seen decals applied to a vehicle. This technology is much older and is used almost everywhere in some form. Whether it’s simple lettering on a school bus, flashy graphics on a sports car, or business info on fleet vehicles, such as Austin Texas Pressure Washing truck, pictured here, decals are everywhere. Rolls of sheet vinyl are fed into a machine that uses a small razor to cut out the design, which is then transferred to your vehicle with a carrier tape. Vinyl comes in several grades, leading to a life expectancy rating of 10+ years for premium brands. Vinyl comes in a tremendous number of colors, including neon and fluorescent, as well as specialty styles such as carbon fiber, holographic, metallic, glitter, gold leaf, and others. None of these special effects can be digitally produced with the vibrancy, depth or shine of die cut vinyl. Repairs are much simpler with die cut vinyl, since only the damaged piece has to be replaced (compared to a piece of wrap that covers an entire fender or door), and color fade will be less noticeable between the new and old vinyl. Decals typically don’t take as long to apply as wraps, and rarely require the removal of any parts of your car. Care is much more forgiving, since the material is the same color throughout, you can’t scratch the color off of the vinyl. Now that we are speaking the same language. Reach out and tell us what type of decal you need printed, so your vehicle can be a rolling billboard for your business. Why Do My Blended Shirts Stink? Are your workwear shirts flammable?